Each year, there are over 3 million flu cases in the United States. 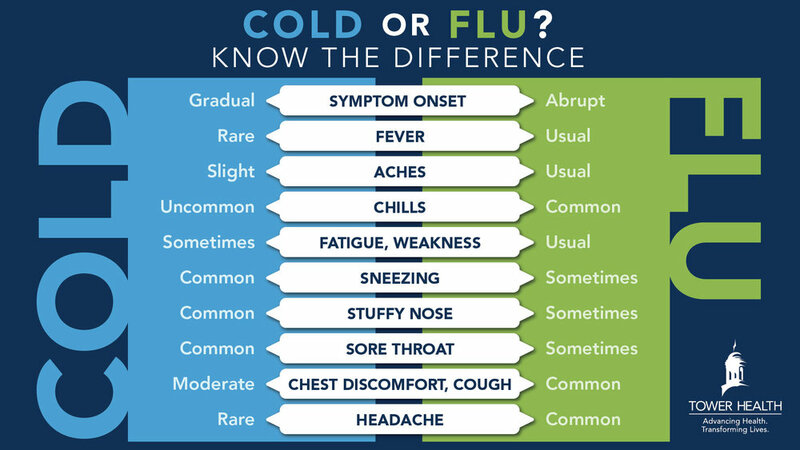 Influenza – the flu – is a contagious respiratory illness caused by influenza viruses that infect the nose, throat, and sometimes the lungs. Usually the flu is a mild disease in healthy children and adults; however, it can be life threatening in older adults and in people of any age who have chronic problems such as diabetes, chronic lung disease, asthma, or heart failure. Pregnant women are also at high risk. Some symptoms such as fatigue and cough can last up to a few weeks. Children may have upset stomach or vomiting, but adults usually do not. Serious and possibly life-threatening complications are rare. While your body is busy fighting off the flu, you may be less able to resist other infections such as pneumonia. These secondary infections can be especially dangerous to older adults, pregnant women, and those with chronic illnesses. ¨ Get a flu vaccination. This is the first and most important step in preventing flu. It can greatly lower the chances of getting the flu, as well as preventing much of the secondary infections and death that can be caused by influenza. Each year, Reading Hospital provides free influenza clinic for people ages 9 and older. CLICK HERE for information on upcoming clinics. ¨ Cough or sneeze into the bend of your elbow. Or cover your face with a tissue when coughing or sneezing. Toss the tissue in the nearest waste receptacle and immediately clean your hands. ¨ Perform hand hygiene. Use alcohol hand rub immediately after sneezing, coughing, or touching surfaces contaminated with respiratory secretions or wash hands with soap and water for at least 15 seconds. ¨ Use clean paper towels to turn faucet on and off after handwashing. ¨ Exercise – It boosts your immune system and speeds recovery from illness. If you are sick, stay at home to minimize the spread of germs.